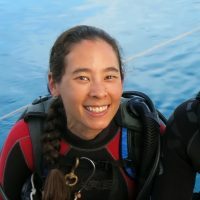 Divers tend to be the friendly, welcoming sort. We’re always game to have an adventure and meet new people. But every now and again we throw down. Diver 1: That’s great you got to snorkel with whale sharks. 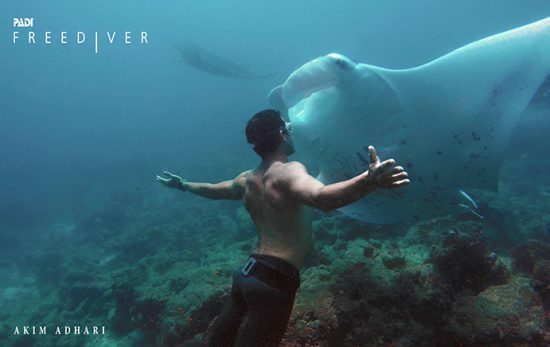 Did I tell you about the time I DOVE with one in the Philippines? Diver 2: No, you didn’t, but I bet it was like the time I dove with a BABY HUMPBACK. Diver 1: Sounds rather nice, a bit like the time I was in the Bahamas and a pod of dolphins SPELLED OUT MY NAME UNDERWATER. You get the idea. One-upmanship is alive and well for some members of the diving community. Personally, I would be happy staring at a cuttlefish, or even a common housecat for two hours. 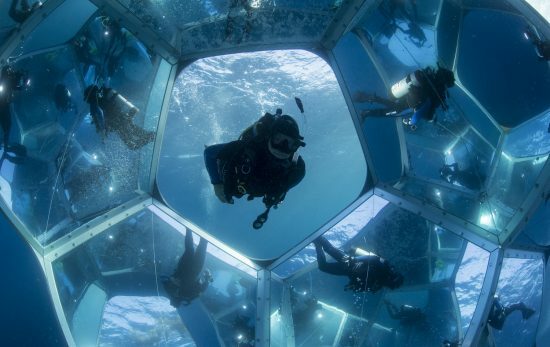 But, if I wanted to “win” the game of I’ve-seen-something-cooler-than-you-have, I’d go ice diving. First off: ice diving is totally badass. There’s a chainsaw involved, you can try upside-down water skiing, the scenery is amazing, etc. Second, the list of creatures to see are as good (or better) than any tropical destination. If you don’t believe me, perhaps diving legend Sylvia Earle will persuade you. Here are just a few of the wonders of nature you might see on an ice diving adventure. Narwhals sport a large, unicorn-esque horn (actually a canine tooth). A surprising number of people don’t believe Narwhals even exist. You can prove them wrong. The Bowhead whale has a nice comeback story. The Bowhead was an early whaling target and was nearly wiped out. 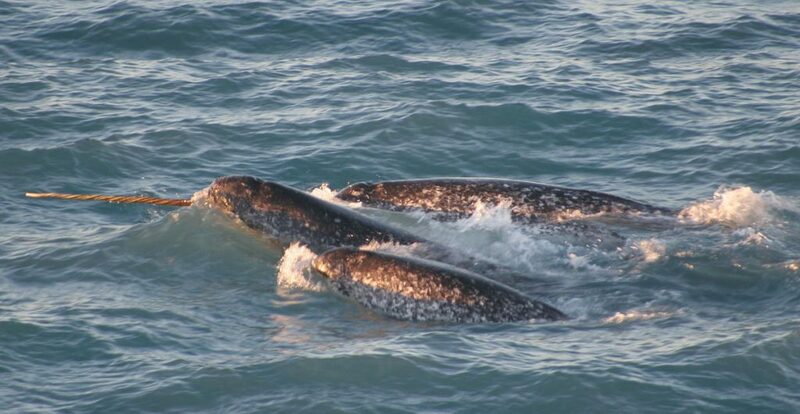 Through conservation efforts, and decreased demand for whale products, the bowhead population recovered and is now rated “Least Concern” by the IUCN. Fun facts: Bowhead whales are filter feeders and have the largest mouth of any animal. Also, they are capable of breaking through 60cm / 2 feet of ice. 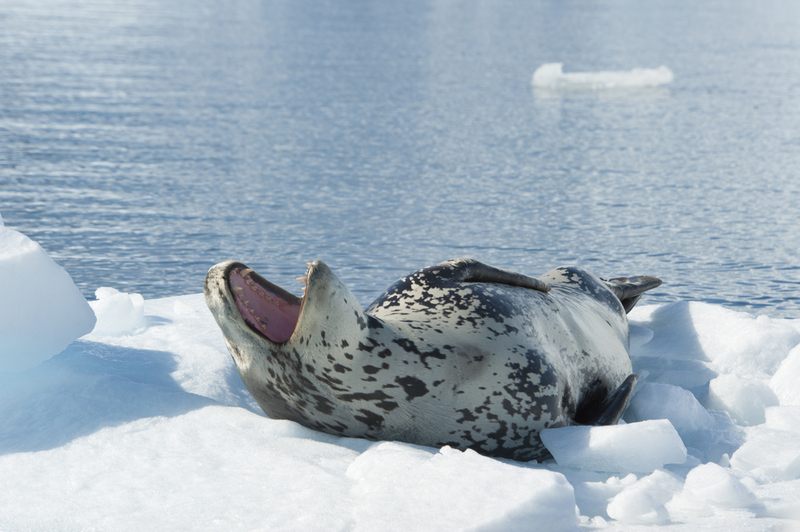 If you’ve seen a video of underwater life in the Antarctic, you’ve likely seen a Leopard Seal. These seals grow to be about the size of a walrus (2–3.5 m / 8–11.5 ft) and weigh 200-600 kilograms / 440 to 1,320 lb. This little guy you may not have seen before. 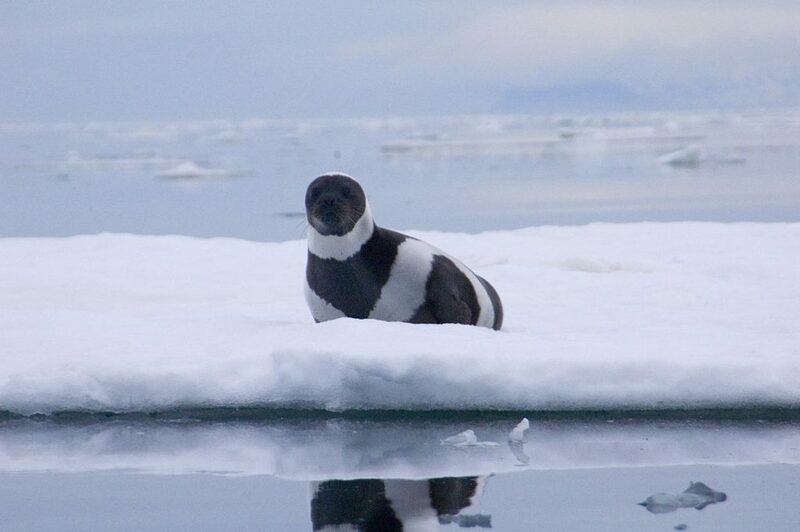 Despite not living anywhere near penguin country, the ribbon seal’s markings look like a seal and a penguin got… friendly (nudge, nudge, know what I mean?). 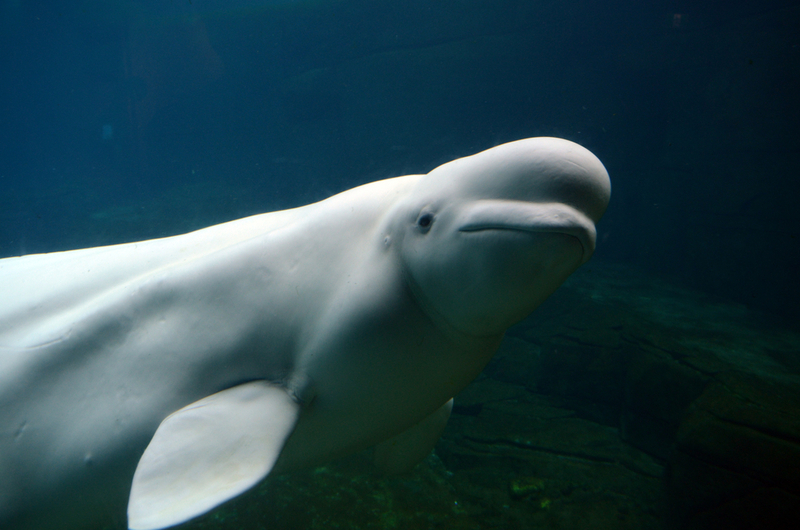 Beluga whales are gregarious creatures that live in groups of around ten, but are known to gather by the hundreds in summer months. They grow to a size somewhere between a dolphin and a whale, and are masters of echolocation. This skill allows them to find breathing holes under massive sheets of ice. Sea Angel is a nice name for what’s essentially a swimming sea slug. They grow to about 5 cm / 2 in and are partially transparent. 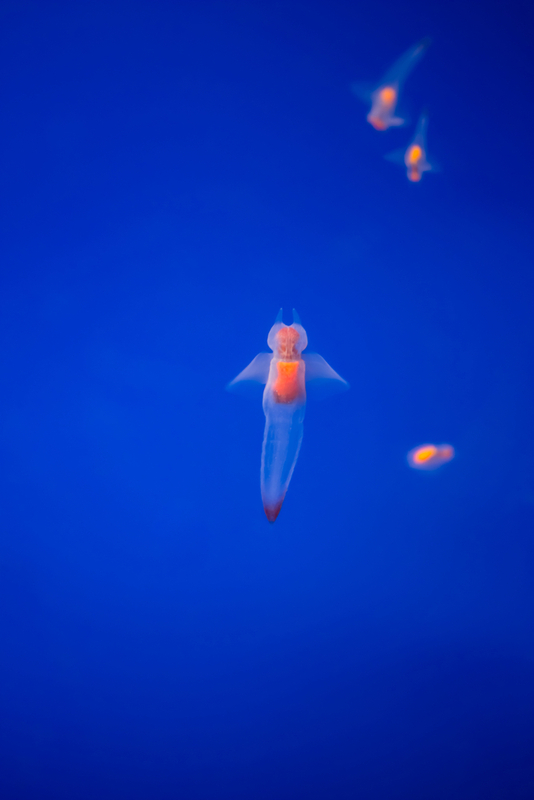 Sea Angels are carnivorous, and their preferred snack is the Sea Butterfly…which is actually more of a snail. As you may have guessed by its name, the icefish is mainly found in near-freezing waters from -2 to 4 °C / 28 and 39 °F (seawater freezes at -2 °C / 28 °F). Seeing this fish while ice diving is as close as you can get to seeing life from another planet. The Gorgonocephalus (yes, Gorgon like Medusa) is another creature you’ve likely seen in videos. Its elaborate, mesmerizing arms are designed to close around its prey creating, essentially, a basket of doom. If you’re ready to see some of these amazing animals, grab your drysuit and sign up for a PADI Ice Diver course. In addition to winning every been-there-dove-that contest, you’ll see a world few can even imagine, much less visit. 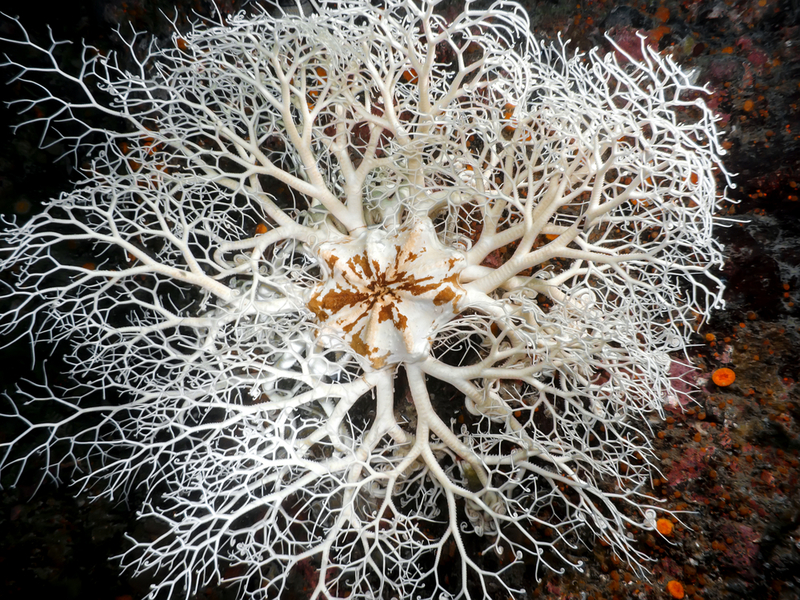 Interested in learning more about the frosty creatures of Antarctica? 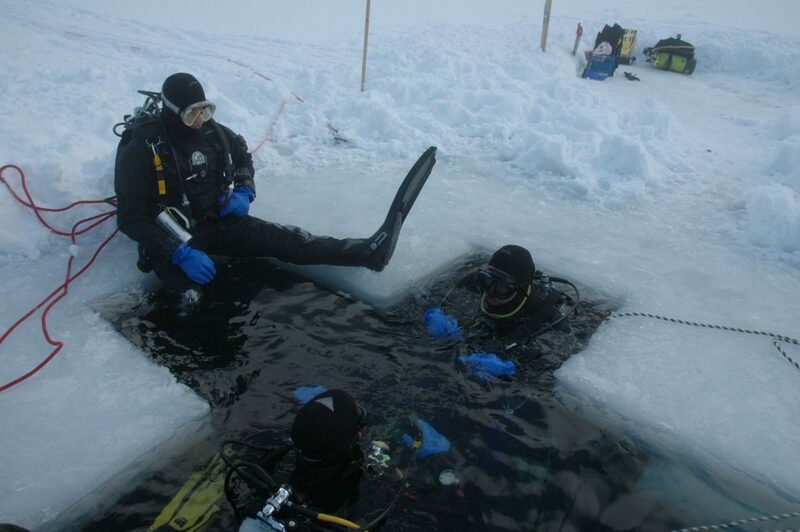 Need help persuading your dive buddy to sign up for an ice diving trip? Encounters at the End of the World profiles the creatures (including humans) that live and work in Antarctica, and features beautiful ice diving footage.